Last Thursday we got to attend the launch of something exciting. Something really exciting. The likes of which we’ve only seen on TV, and never dreamed that we’d have in South Africa. What am I talking about? 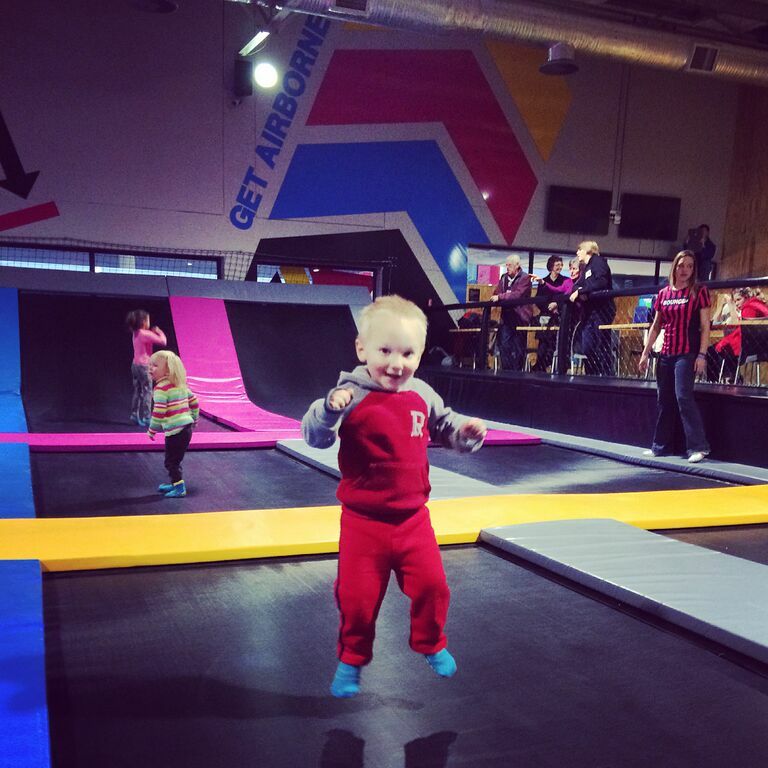 BOUNCEInc. 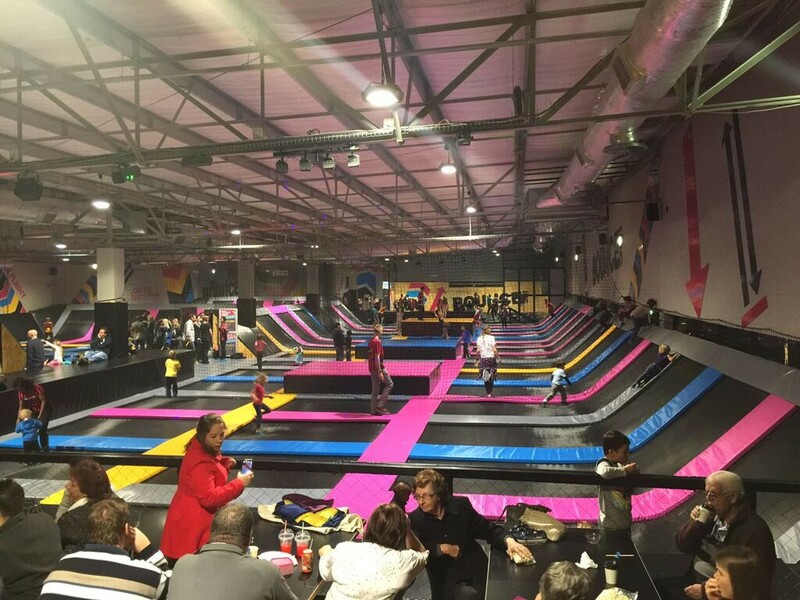 Located next to the gym at the Waterfall Lifestyle Centre in Midrand, BounceINC is wall-to-wall trampolines and bouncy heaven. You can bounce and play basketball. You can bounce and play dodge ball. You can bounce off the walls and you can bounce your heart out, right here. Both of my kids had the best time ever. 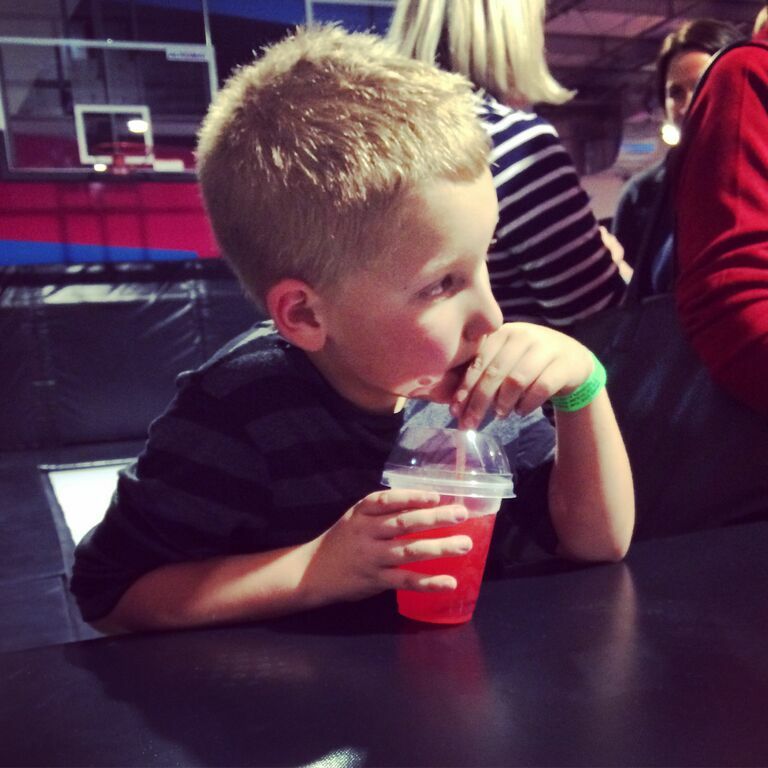 I must mention that there is an age requirement – only kids over the age of 3. They made an exception for The Toffee on opening night at my insistence, and because, who can resist watching a Toffee bounce? My 7 year old Kid also enjoyed himself thoroughly. He was sweaty and exhausted, utterly thrilled to be able to throw himself around and jump as high as he wanted, for as long as he wanted. I barely saw him the entire evening. He declared it the best fun ever, and has insisted that we return soon. We definitely will be coming back, as there is a lack of (seriously) fun (seriously active) things to do indoors in Joburg in winter with kids. Pricing is fairly reasonable and you can book online, here. This entry was posted in family things, life things, love things, parenting things and tagged heart things, inspiration, life in jozi, life in pictures, life in south africa, love things, The Kid, The Toffee, things to do with kids. Bookmark the permalink. Sounds like an awesome time! I reckon we’ve found our next birthday venue for Mr J!